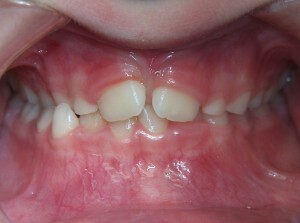 Two phase orthodontics consists of two separate times when a child receives orthodontic treatment. Phase I treatment can consist of the use of braces, a removable appliance or a fixed palate expander. Your child will be followed at no additional fee until all permanent teeth have a pathway to erupt at which time, we will re-evaluate them for Phase II braces crediting part of your Phase I fee to the next stage. See our patient going through the process of the palate expander and Phase I Treatment on You Tube! 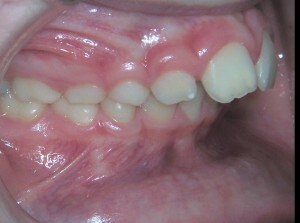 After Phase I treatment, crooked teeth, spacing and improper bites may still exists. By timing the second phase of treatment with your child’s growth, the orthodontist can take advantage of this development. During Phase II treatment, braces or Invisalign can be used to straighten the permanent teeth and correctly align the bite and jaw. 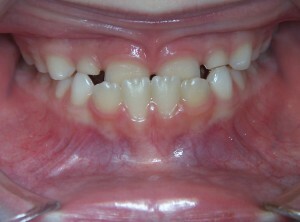 Correct alignment of teeth, a beautiful smile. Our goal for two-phase orthodontic treatment is to give you correctly aligned teeth that provide ideal jaw function and a great smile with lasting results!